Now I don’t know about you, but I’d say The Backstreet Boys are up there with some of the best pop bands in history. 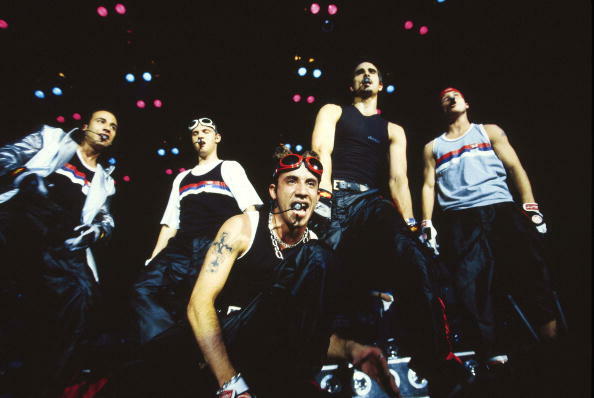 You can keep your Jimi Hendrix, your Tupac, and your Charlie Parker, for me it’s all about BSB. The soundtrack to many a millennial’s formative years, the five guys have a back catalogue of bangers to rival even the highest standard of teen pop groups from the same era. But one question has always bugged the BSB fandom. One question which keeps us up at night… What on Earth did they want ‘that way’? The question has plagued pop culture for decades, even making its way into everybody’s favourite cop comedy show, Brooklyn Nine-Nine. I never wanna hear you say / I want it that way / ‘Cause I want it that way. But what could ‘it’ be? I mean, it’s not exactly clear throughout the song, but that last line just takes it over the edge. They’re saying they don’t want to hear the girl say she wants ‘it’ that way because they want ‘it’ that way. But why isn’t she allowed to say she wants ‘it’ that way if they want ‘it’ that way? Thankfully, ever the public servant, Chrissy Teigen took to Twitter to voice the concerns of a generation and get this all out in the open. ‘I never wanna hear you say, ‘I want it that way’ cause I want it that way’. He doesn’t wanna hear it because he is the one that wants it that way? He wants to be the one to say it? Also what is ‘it’? When posing this deeply existential question to the empty caverns of the internet, she probably did so out of sheer despair, and not in hope of actually getting to the bottom of the burning question. Don’t wanna hear you say that you want heartaches and mistakes… or to be 2 worlds apart. We don’t want you to want ‘it’ that way – that’s the way we want it… for you to not want it that way. So when The Backstreet Boys sing ‘I never wanna hear you say / I want it that way’, what they’re saying is, they never want to hear the girl say she wants to be two worlds apart. Dear Chrissy, fans and media have been asking for years but YOU…you have gotten it out of them. You should win a Nobel Peace Prize for this (or something like that). They don’t want to hear her say she wants any of the bad stuff they sing about in the song, because they’re just stand up guys. So what they mean when they say ‘Cause I want it that way’ at the end, is that they are saying they want to never hear her say she wants the bad things to happen. So there you go, you can rest easy tonight.